Ah, summer in the American South: the air is abuzz with cicadas, air conditioning, and aerosol bugspray. For many, it’s a season equally beloved and reviled. Everyone seems to have their favorite griping point: the relentless humidity, the constant threat of mosquitoes, or my personal nemesis—poison ivy. 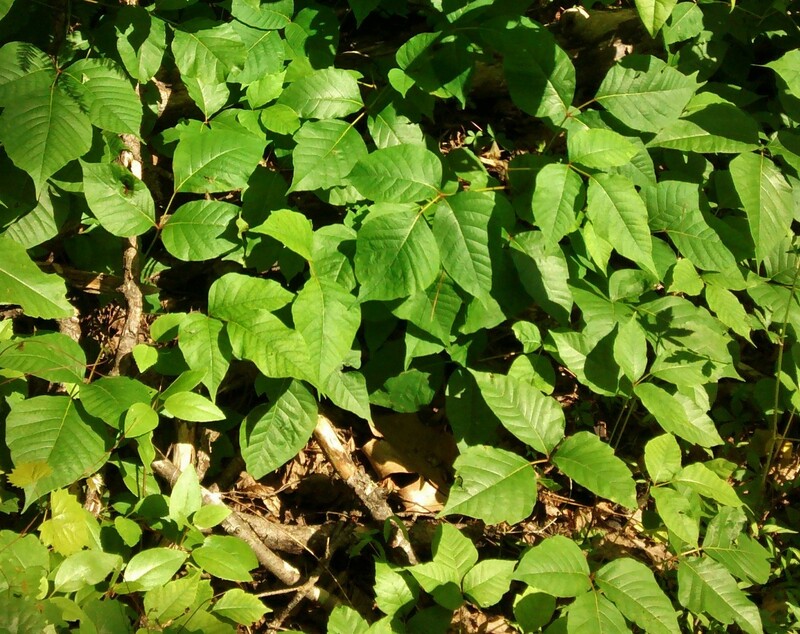 Although poison ivy (Toxicodendron radicans) can give you a rash any time of the year, it’s particularly menacing during the summer, when it expands into towering vines, bushes, and the ubiquitous groundcover. Outdoor enthusiasts like myself have to keep a constant eye out for the leaves-of-three to avoid weeks of itchy blisters. What makes poison ivy so awful? Unlike bug bites, other plant irritants like nettles, or the DC Comics villain, the reaction to poison ivy is delayed (It first appears many hours later), prolonged (It can last for several weeks), and increases with repeated exposure. The secret’s in the secretion: Urushiol (oo-ROO-shee-ol). The oil urushiol is actually a suite of compounds (urushioids) that are made by plants related to poison ivy. If you’re severely allergic to poison ivy, you might want to be cautious around mango skins or fresh cashew fruits, since they are all in the same plant family (Anacardiaceae). It’s the chemical properties of urushiol that make poison ivy the scourge of summer. Like other oils it doesn’t dissolve well in water, so it sticks around for a long time. Once the oil is inside the body, it oxidizes to form a compound that triggers an allergic reaction. Anyone who has ever tried wash a buttery dish when low on detergent knows that oils don’t dissolve in water. This is because oils and water are different in one important way: polarity (no, not polar like that—chemically polar). The atoms in water molecules don’t share their electrons equally, creating slight electrical charges that help them stick to each other—and to other similarly polar molecules. Carbon is a notoriously equitable electron-sharer, so long carbon chains, like those in vegetable oil are a good signature for a hydrophobic (not water-soluble) molecule. All urushioids also have a long carbon chain attached to a stable carbon (benzene) ring with a few oxygens hanging off it (see Figure 2). It’s these long carbon chains that make urushioids so insoluble in water. You’ll see the same pattern in skin oils, fats, and the phospholipids that make up all cell membranes. Urushiol being hydrophobic has real consequences. Urushiol sticks around on vegetation, clothing, and skin until scrubbed off with a strong soap or another oil. In fact, being hydrophobic means that it’s more easily able to penetrate through the protective oils on your skin—where the real damage begins. Urushiol straight from the plant doesn’t actually do much—it’s stable and content the way it is, hanging out on skin, clothing, and even 100-year old museum specimens. Once urushiol comes into contact with skin cells, however, an important change takes place. The body’s enzymes start reacting with the urushiol molecule and oxidize it—the oxygens that were hanging off the benzene ring lose their hydrogens. This transforms urushiol into a more reactive molecule: it’s now the perfect shape to interact with proteins in the body. Urushiol is a particularly sneaky form of allergen called a hapten, a small molecule that must attach to larger proteins to cause an immune response. Neither the original form of urushiol or even the oxidized form are actually enough to sound the body’s immune alarm. Instead, the reactive oxidized urushiol hitches a ride on one of the body’s own skin proteins and alters it, creating a larger, more noticeable complex. When the immune system doesn’t recognize its own skin protein—now altered by urushiol—it sounds the alarm and your arm starts getting blistery, red, and itchy. Because this is an immune response to an allergen, the reaction gets worse over time as your body builds up the related T-cells and antibodies. Even if you’ve never had a poison ivy rash, be careful in the woods and learn to recognize the plant. Each exposure to poison ivy makes you more likely to react—unless, of course, you’re one of the 15% of people whose immune cells just don’t recognize urushiol. If you want to minimize your encounters with urushiol, above all, remember the chemistry! Hydrophobia means you can’t just rinse it off in the creek—but being a hapten also means it’s not reactive until after it soaks into your skin. As long as you scrub it off quickly, there’s not much to worry about. If you think you’ve touched poison ivy, make sure to use a strong soap, or better yet, a special oil like Tecnu to get rid of it—before you touch your face or use the restroom. Happy hiking! 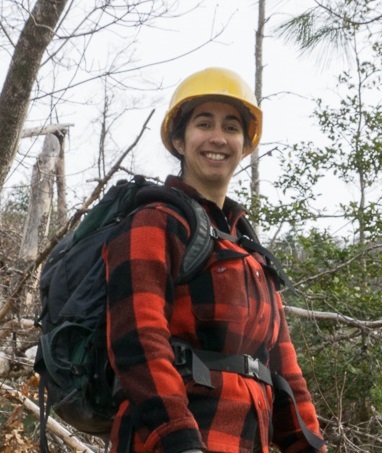 Uma Nagendra is a PhD Candidate at the University of Georgia studying how tornadoes change the way trees interact with the soil. When she’s not crawling over fallen trees in North Georgia, Uma enjoys aerial circus arts, playing the mandolin, and convincing other people to dance. She can be reached at uma.nagendra@gmail.com or followed on Twitter @atinytornado. W.P. Armstrong and W.L. Epstein, M.D. 1995. Herbalgram (American Botanical Council). 34: 36-42. Bogue, E.E. 1894. The durability of the poisonous property of poison ivy, Rhus radicans L. (R. toxicodendron L.). Science 23:163. Kydonieus, A.F. and WIlle, J.J. 1999. Biochemical Modulation of Skin Reactions: Transdermals, Topicals, Cosmetics. CRC Press.